Quartz Countertops in El Paso | Eleganzza Granite Inc. Quartz Countertops in El Paso | Eleganzza Granite Inc. If you’re looking to revamp your home’s countertops, consider quartz. As a generally more affordable option than granite, quartz is able to provide the high-quality surface you’re looking for at a lower cost. But how exactly are granite countertops manufactured? The first step requires the mining of natural-quartz crystals. These crystals are then ground into dust or into an aggregate that will be fused with resin binders under intense heat and pressure. The final product will be a solid slab. Pigments may also be added during the creation process in order to give the countertop color. Not only are quartz countertops beautiful, they also boast a variety of positive attributes that make them stand out from other options. For starters, quartz countertops require minimal maintenance. Since they don’t require sealing, these countertops can be clean and spotless with nothing more than soap and water. Furthermore, quartz countertops are antimicrobial due to the resin binders. This means the surface of the countertop will be nonporous, basically preventing bacteria or mold from penetrating the surface. It’s no surprise, then, that quartz is an excellent option for kitchens and bathrooms. Since quartz is engineered, it allows for more color choices, as opposed to choosing natural stone. As far as styles go, quartz is able to fulfill a variety of requirements. It’s both beautiful and resistant. It can provide a look more uniform than that offered by granite countertops. Although quartz countertops are commonly seen in kitchens, it’s important to point out that they don’t take on heat as well as granite surfaces so placing a steaming hot pan on a quartz countertop may not be too wise. Quartz is scratch and chip-resistant, however. This is where quartz surpasses granite countertops. Heavy objects falling on granite can cause the countertop to chip. The same scenario would cause no harm to a quartz countertop. Although quartz slabs are man-made, as oppose to being natural like granite, the price point is close to that of granite. 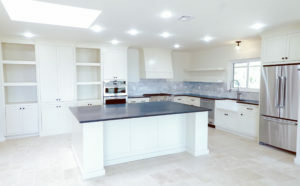 Quartz is an excellent option for homes all across the Southwest area. 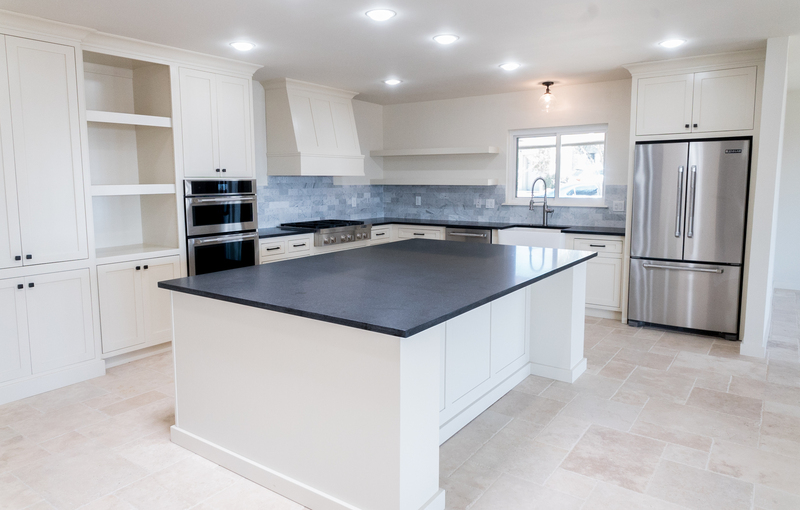 If you’re looking for quartz countertops or slabs, choose Eleganzza Granite Inc. We are one of the most reliable countertop contractors in the Southwest area. Quartz can revamp any home. We’re ready to help!